The Wedding Dress Color Decision,Which Wedding Dress Colours Are Right for You? A wedding is one of the most significant events in a woman’s life. For a girl who is getting married, the wedding is a major occasion that is a celebration of love, joy and togetherness. Women plan their weddings ever since they were little girls and all over life a girl will probably have a preconceived idea about the way she looks on her wedding day. A wedding is a day when a girl should look her best and the dress that she is wearing should complement every inch of her body. A natural glow to the skin sets off the dress, no matter what the colour is. Which Wedding Dress Colours Are Right for You? However did you know that the colour of your wedding dress has certain significance? Each shade whether it is white, pink, ivory or red means something and thus you should have an idea of what the colour represents before choosing your dress. Some hues and colours have a meaning of their own when it is worn at a wedding and the following illustrations will enlighten you regarding the precise significance of all the colours. Diamond white is the colour that is traditionally worn at weddings and with good reason too. The colour white is considered auspicious and there is nothing as beautiful as a bride dressed in pristine white. White signifies purity and brings out the glow on the bride’s face. White wedding gowns were worn ever since the time of Queen Victoria and the tradition still continues. The colour yellow is yours if you are a person who is cheerful, optimistic, do not get easily depressed and have a very positive outlook to life. Above all yellow signifies friendship. Yellow goes hand-in-hand with a clean grounded and fuss-free look that can lead to a very happy future with your husband. The colour champagne is another good option. This is for more classical conservative brides. It signifies vintage beauty and has a rich traditional feel to it. Ivory, an offshoot of the colour white signifies elegance and old-world charm. Ivory is a hue that is both gracious and polished at the same time. If you want to be different then abandon white completely and go for other shades. Pink is a very popular choice. Pale pink is an embodiment of girlishness, playfulness and happiness. Pink means a sense of fun and lightheartedness. Hot pink is another color that is becoming very popular with hose brides who are looking to break tradition and do something different. Hot pink signifies a daring attitude and an ability to take risks. It is an embodiment of energy, vibrancy and girl power. Lavender is a color that can be called an ode to the past. This brings to mind elaborate weddings with soft dainty lady-like brides. 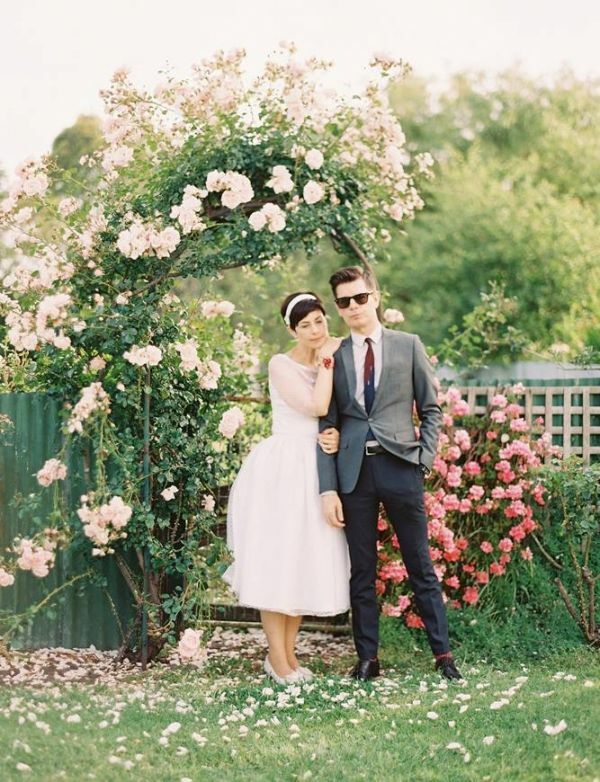 when it comes to being environmentally savvy, green is the perfect wedding dress. 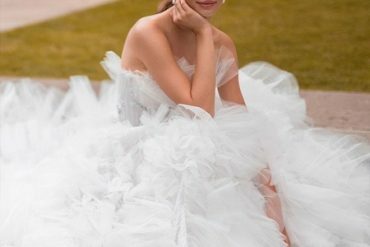 This is not referring to finding that perfect green wedding dress, this means you are taking an initiative to purchase and own a recycled gown on your wedding day. Red is a colour that few can carry off at a wedding. But if you have the look and the attitude then nothing can beat the color red. Red guarantees that all eyes will be on you as you stand at the altar whether it is men or women. A colour of passion, romance and desire, red hints at a triumphant vibrant and romantic nature. If you wear red it means that you have expensive tastes, will take any nonsense from your husband and life with you will be one hell of a ride. Coral is another color that is popular at weddings. It has a strong foreign feel to it, one which is reminiscent of a Latino, Caribbean or an East Indian wedding. A coral wedding is often synonymous with mehndi patterns on the hands, paisley patterns and luscious linens. It is strongly associated with an ethnic feel which makes your wedding stand out among others.